Kirkwood is a place you can expand, rejuvenate and simply get away. There’s a sense of gathering reminiscent of a simpler time. It’s a throwback to living at a different pace. The snow here is some of the deepest in the country. Experience a signature mountain escape from Vail Resorts, North America’s premier operator. Kirkwood embodies the spirit of pristine beauty and brazen adventure. It is an escape you cannot replicate. All the fun. With zero pretense. 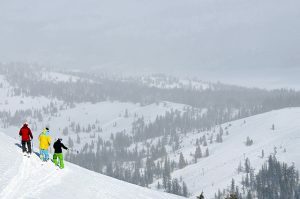 Kirkwood boasts the most snow, and the lightest, driest powder in the region. It offers big mountain riding with a small town attitude. Our base is at nearly 8,000 feet above sea level, averaging over 500 inches of snow annually. With 2,000 feet of vertical drop, and over 2,300 acres of terrain, you can take on anything from calm, groomed beginner runs to hair-raising cornices and cliffs with the most high angle grooming around. In summertime, Kirkwood turns into a picturesque high alpine playground surrounded by national forests. Hiking, mountain biking and fishing abound. Invest in a lifestyle that is uniquely yours. Kirkwood is a place that embraces family values, and inspires traditions of the past. Exceptional value. Exciting p rojects. These exclusive opportunities represent an investment to be realized for years to come. The Kirkwood community invites you and your family to join the untapped authenticity of the area. As Kirkwood’s only real estate office, the Kirkwood Mountain Realty team is your expert source in real estate. We have over 100 years of combined experience in the Kirkwood community. 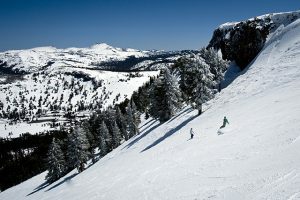 Explore the real estate opportunities at Kirkwood.